This was my third visit to the Reading Festival; I felt I was a seasoned festival goer 🙂 . By now a large crew of local people were going to the festival, so there were lots of mates there, and we spent much of the weekend in the pubs in town, and down near the Caversham Bridge; particularly The Griffin. We would nip back to the festival site to catch the bands we wanted to see. The line-up in 1974 wasn’t particularly strong in comparison to the previous couple of years, and quite a few bands who had been advertised didn’t show (notably Eric Burdon, Ronnie Lane and Blodwyn Pig, all of whom I was looking forward to seeing). The Friday line-up was : Nutz, Johnny Mars, Hustler, Beckett, Camel, 10c, Fumble, Sensational Alex Harvey Band. The first night of the festival saw the triumphant headlining return of the Alex Harvey band, who lived up to their name and were truly sensational. SAHB had appeared low down on the bill the previous year; there will have been many in the crowd who saw that performance, and knew how good they were. Johnny Mars and his Sunflower Blues Band gigged a lot in the early 70s; they played traditional blues; I remember seeing them at Sunderland Poly a few times; pretty good too. Fumble were a rock’roll revival band who also gigged a lot. 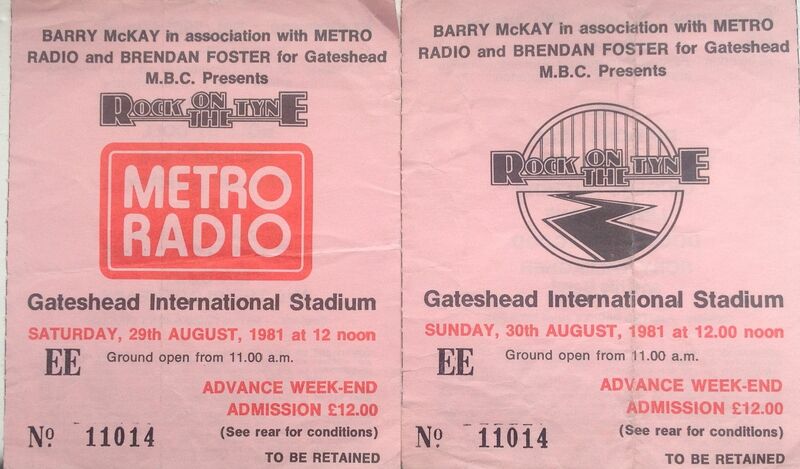 Beckett were local North East heroes, featuring singer Terry Slesser. The SAHB setlist was something like this: Faith Healer; Midnight Moses; Can’t Get Enough; Give My Regards To Sergeant Fury; The Return of Vambo; The Man in the Jar; Money Honey; The Impossible Dream; Schools Out; Framed. Saturday line-up: Jack the Lad, G T Moore and the Reggae Guitars, Trapeze, Sutherland Brothers, JSD Band, Procol Harum, Thin Lizzy, Long John Baldry, Heavy Metal Kids, Greenslade, Georgie Fame, Traffic. Two bands stick in my mind from Saturday: Thin Lizzy who were excellent, and about to break through a year or so later, and Traffic. This was the classic Lizzy line-up featuring front-man Phil Lynott, the twin guitars of Scott Gorham and Brian Robertson, and Brian Downey on drums; at the time of the Nightlife album; they were at the top of their game. Traffic were excellent. They had just released their album When the Eagle Flies, and their set at Reading featured a few songs from that album, plus some old classics. The line-up at the time was Steve Winwood (guitar, vocals, keyboards); Chris Wood (flute, sax); Jim Capaldi (drums, vocals); Rosko Gee (bass); Rebop (percussion). Stand-outs were Steve singing John Barleycorn, simple and beautiful with acoustic guitar, and Rebop’s congas and percussion throughout. I found a published setlist for Traffic, which shows they played: Empty Pages; Graveyard People; Who Knows What Tomorrow May Bring; John Barleycorn; 40,000 Headmen; Love; When the Eagle Flies; Walking in the Wind; Dream Gerrard. I also have it in my mind that they performed Feelin’ Alright, but maybe that’s my memory playing tricks again. Also worthy of mention are Procol Harum (great version of Whiter Shade of Pale and a big success during the late afternoon), the late great Long John Baldry (excellent voice and a hero of mine), Heavy Metal Kids (the late Gary Holton as crazy and manic as ever), and Georgie Fame who seemed a bit out of place as part of the Saturday night line-up, but carried on the jazz and R’n’B tradition of the festival and went down pretty well. Sunday Line-up: Gary Farr, Chilli Willi and the Red Hod Peppers, Esparanto, Strider, Barclay James Harvest, Chapman & Whitney Streetwalkers, Kevin Coyne, George Melly, Winkies, Steve Harley & Cockney Rebel, Harvey Andrews, Focus. My main memories of the final day are of Steve Harley. Cockney Rebel had split a few months before the festival, and this one of Steve’s first appearances with his new band. They stole the show; appearing just as it was getting dark; the audience was with Steve from the start, and the performance was a triumph. Tumbling Down closed the set with a mass crowd singalong of “Oh dear, look what they’ve done to the blues, blues, blues”. 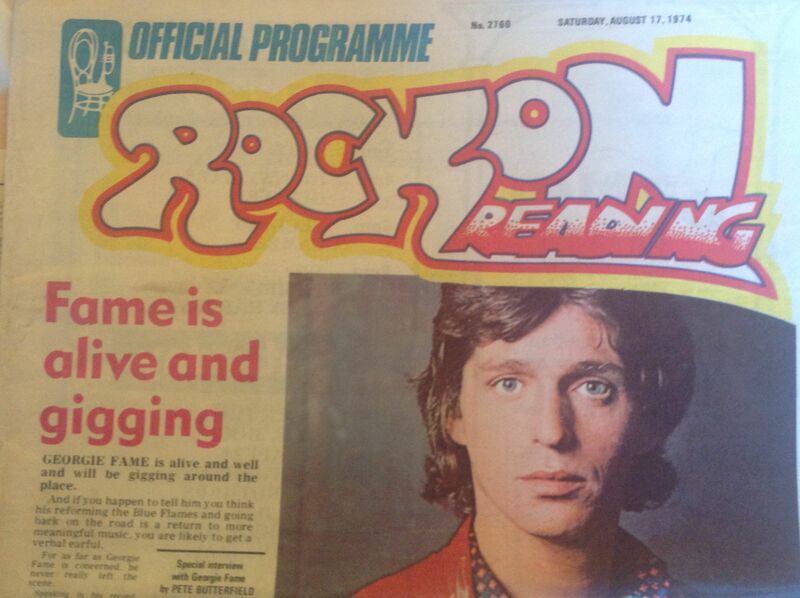 It was clear that Steve was back, as cocky as ever; 1975 would bring him massive success with Make Me Smile. 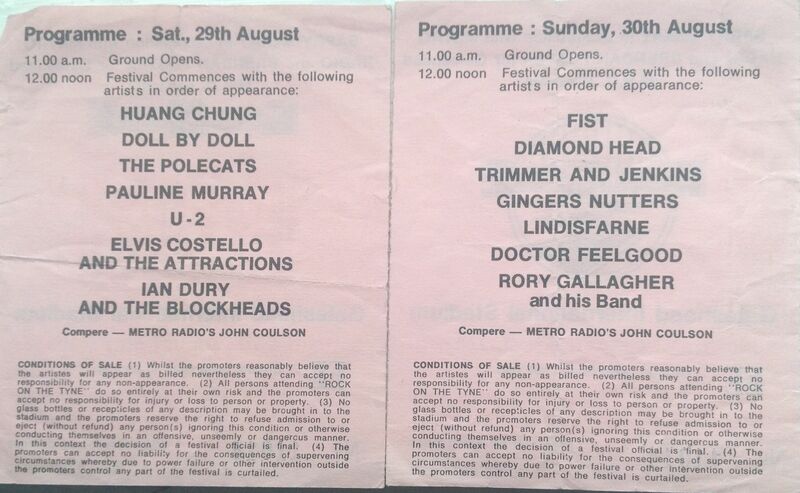 I also remember watching Kevin Coyne (Marjory Razorblade), George Melly (a return after his success the previous year) and Focus who closed the show, and were also great, but seemed a little of anti-climax after Steve Harley’s performance. DJs for the weekend were John Peel and Jerry Floyd. Oh and there were lots of cheers of “Wally”, “John Peels a c**t” (not sure how that one started), and a revolt at the prices of food in the arena, which resulted in a fish and chip van being trashed. Crazy, happy days. UFO are a much under rated rock band. I spent many nights in the 70s and 80s at UFO gigs. They are appearing at Newcastle Academy next Saturday, and I intend to go along and see them, so I thought I would reminisce on UFO gigs past this week. I first saw UFO in 1972 at Newcastle City Hall at a free gig which local promoter Geof Docherty put on, as a thank you to fans. Support came from local band Beckett, featuring Terry Slesser, and Melody Maker poll winner Lloyd Watson. At that point in 1972 I think Pink Fairies’ Larry Wallis was playing guitar with UFO. I remember the show being pretty wild with some long guitar solos, and Phil Mogg or Larry Wallis (can’t remember which) climbing up the speaker stack and onto the balcony of the venue. The music at this time would have been drawn from the first couple of lps, and was quite spacey, psychedelic stuff. 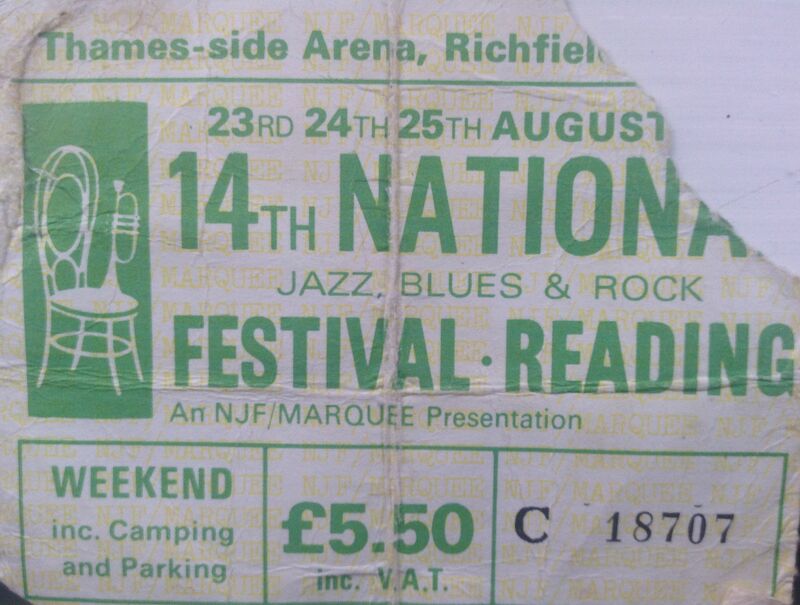 The next few times I saw UFO was at Sunderland Locarno, Newcastle Mayfair, and at the 1974 reading Festival. By then Michael Schenker had joined the band and they had released the classic album Phenomenon, followed by Force It and Lights Out, featuring such great songs as: Only You Can Rock Me, Doctor Doctor, Love to Love, Lights Out, Rock Bottom, and Shoot Shoot. There was nothing better than a Friday night in a packed ballroom watching Schenker, Mogg and Way play Doctor, Doctor. Great guitar intro, and first class melodic heavy rock. By 1979 UFO had graduated to playing Newcastle City Hall, and Michael Schenker had left the band to be replaced by Paul Chapman. I’ll report next on some of those City Hall gigs which took me into the 80s. I first saw Argent in concert at Sunderland Top Rank on a double bill with Beggars Opera. I have a feeling it was a 12 midnight to 4am show that they put on now and then, sometimes on bank holiday weekends. Both bands were heavily organ-based; I had already seen Beggars Opera before, but Argent were new to me. Hold Your Head had just been realised, which places the concert sometime in 1972. I remember everyone standing on the tables in the Rink, singing to Hold Your Head Up; think they played in twice, once in the set and once as an encore. (Update note: I’ve just seen someone selling a poster for the gig on ebay. It was on Sunday 28th/ Monday 29th May 1972, from midnight to 4am. The gig was promoted by Fillmore North ie Geof Docherty. Support for Argent came from local bands Brass Alley and Beckett, and Beggars Opera. Tickets were all of 60p). I was impressed enough to go and see Argent again at Newcastle City Hall in 1973. Their lp at that time was “In Deep” which features the track God Gave Rock and Roll to You, later to be covered by Kiss. Argent were back at the City Hall in 1974, boasting a quadrophonic/stereo show, which featured speakers around the hall; I remember I was sitting right next to one on the balcony. The ticket advertised the concert as quadrophonic downstairs and stereo in the balcony! Interesting concept. The lp for this tour was Nexus, which was pretty heavy prog rock stuff, with tracks such as The Coming Of Kohoutek (great title) and the mega opus Music From The Spheres, which clocks in at over 8 minutes on the lp and was probably longer live. 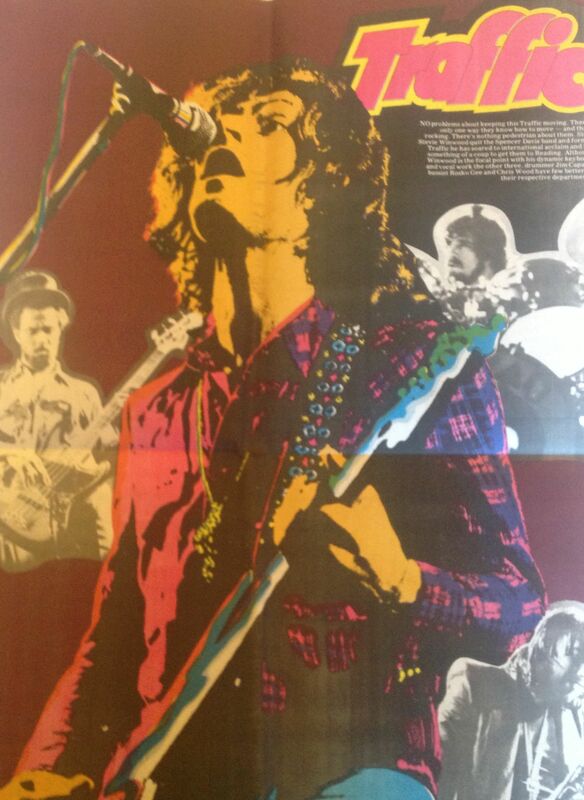 Alongside these new songs, The Zombies’ Time of the Season also got an outing in concert in those days. By 1974 Russ Ballard had left the band to be replaced by John Verity and guitarist John Grimaldi. Argent was a class act. Some great songs, and some top keyboard form Rod Argent. I remember being jealous of Rod Argent’s (very) long hair, and being fascinated by Russ Ballard’s guitar which had holes drilled through the body. A few years after Argent had split, I saw Rod Argent at a free keyboard demonstration concert at Middlesbrough Town Hall. I notice the ticket for the 1974 tour shows that Clancy, who were part of the pub rock scene of the early 70s, were the support act. Argent have reformed recently, and have been playing a few concerts in the past week. I would like to see them again, but haven’t caught up with them yet. (Update note: I found a flyer for the Quadrophonic gig at the City Hall so have added it here). I have since seen Rod a couple of times with Colin Blunstone and with The Zombies, who he tours with now. Update on 26/12/12. 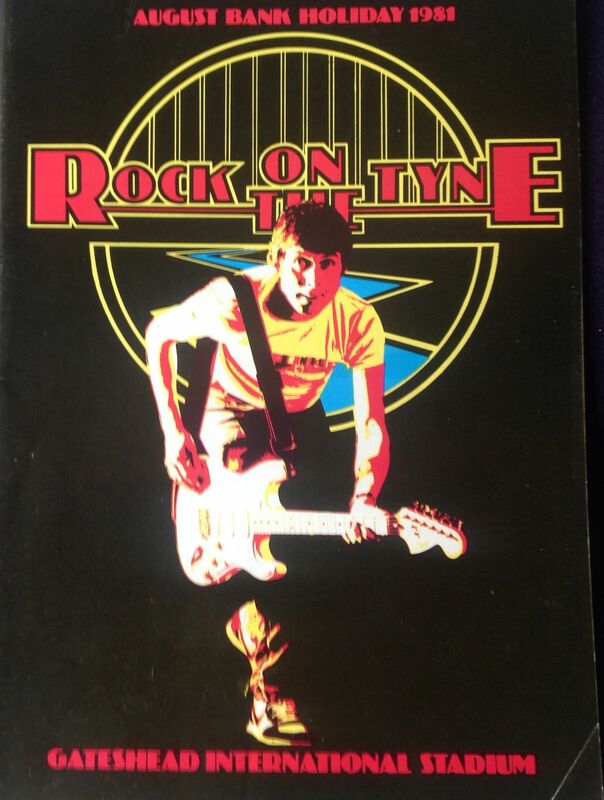 I’ve added a scan of the poster from the gig at Sunderland Top Rank, which John bought on ebay. This shows that it was a midnight to 4am show, on May 28/29 1972 (late May bank holiday). The Line-up was Argent, Beggars Opera, Beckett and Brass Alley.